After years of applying chemical relaxers, hot comb pressing and other artificial straighteners, Black women across the country have been adopting a more natural way of trending to their tresses. Untamed kinks and naps braided underneath sew-in hair attachments are getting a pass in mainstream hair styling. Low-cut fades, dreadlocks and long braids are natural looks that are trending. Corporate America is widening their perception of what is considered to be acceptable hair. 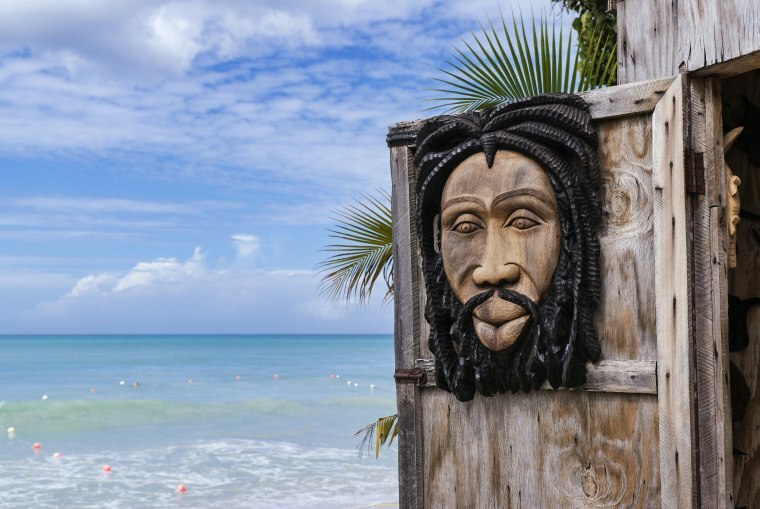 But for Rastafarian women in Jamaica, ‘going natural’ is just a way a life. Wearing her dreadlocks bundled up neatly in a high bun atop her head, Queen B says being wholeheartedly natural comes from the inside out. NBCBLK contributor Erica Ayisi spent some time with Queen B to talk about what it means to go natural. Many black women in America are wearing their hair natural. For Rastafari women, is it only your hair that is natural? No. The way we eat and live is ‘ital.’ We don’t use salt or sugar or any seasonings in our food. We do not see that we need to substitute. We do not eat animals because we love them. However, to be a Rasta is an everyday learning experience and it’s a little different for each person. We say, "each one teach one". Some eat fish because it is considered to be a purer form of the flesh. Your locks are really long. How do they reach that length without extensions? We don’t cut them. When you have locks you have no worries. You don’t have to comb them. It’s the highest expression of the relationship to Rasta. It is what we identify Rastafari with. We use hot and cold water. Sometimes we use water from Montego River, which is right here. We also use herbs and essential oils. Coconut oil, castor oil and aloe Vera are used regularly to keep our locks moist. How do you feel about more Black women wearing their hair natural? It’s ok. It’s becoming more fashionable now. You see it everywhere in the media. Across the board. I’m wearing Malaysian hair extensions but I don’t have any chemicals in my hair. Am I natural underneath this weave? Yes you are. I get it.